Uniform customs administration is of great importance for the EU and the competitiveness of EU businesses in global trade. However, the EU's so-called executive federalism raises the potential for the non-uniform application of EU customs law. This problem has already arisen in the European Communities – Selected Customs Matters WTO dispute settlement. Therefore, the central research question of this book concerns the challenge presented to executive federalism in the EU Customs Union by the WTO. It also examines those safeguard measures for uniform customs administration which are in operation. Valuable empirical analysis of the decision-making procedures and practices of the national customs authorities allows for the fullest understanding of the operation of the customs administration. 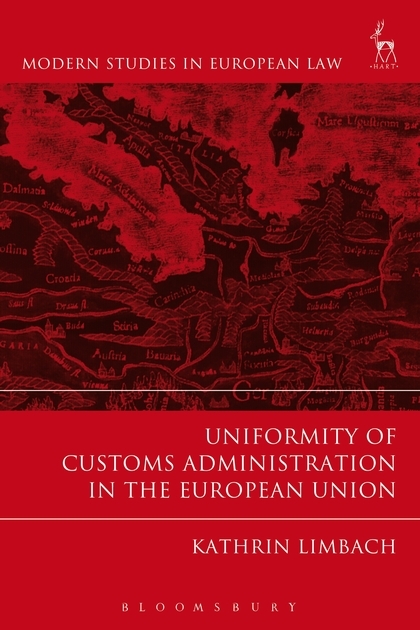 An important feature of the exploration is its analysis of the reform of EU customs law and of the effectiveness of the European Union's strategies to enhance uniform customs administration. That analysis helps to identify potential weak points in the decentralised administration of EU customs law and suggests ways in which it might be improved. Scholarly, rigorous and timely, this important study will be required reading for all scholars of EU customs law. 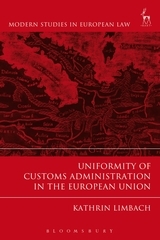 Thanks to her detailed, thorough and copious research, the author Kathrin Limbach painstakingly constructs a substantially supported and therefore convincing case for - as the title indicates - uniformity of customs administration in the EU...Practitioners and indeed anyone charged with the analyses or interpretation of EU Customs law will no doubt find this timely treatise extremely useful. Kathrin Limbach is a Research Associate at the German Research Institute for Public Administration at Speyer.